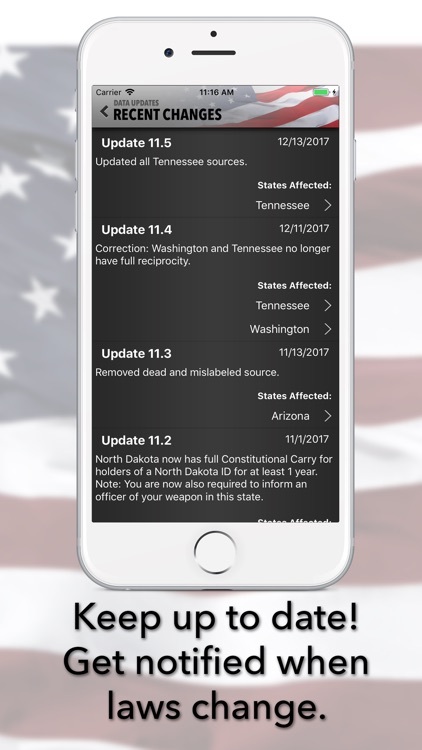 Concealed Carry App is a must-have tool for every responsible gun owner in America. Enter any state confidently and never fear being illegally armed again! 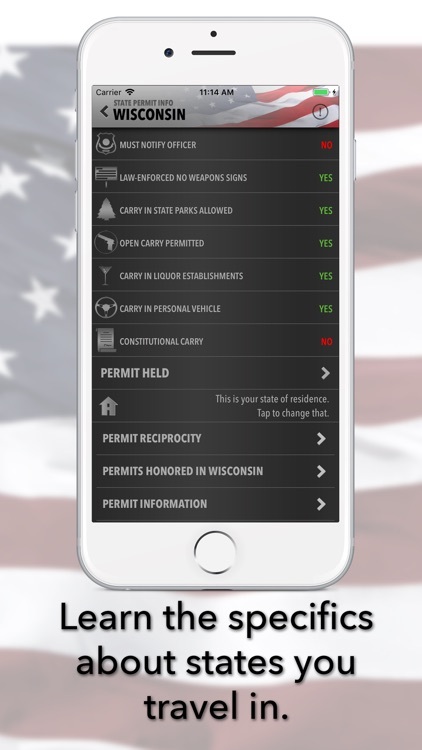 Designed for the concealed carry permit holder, it’s your complete guide to knowing which states have concealed carry reciprocity and in what states your permit is valid. You don’t need to guess. We can help you make sure you're covered. 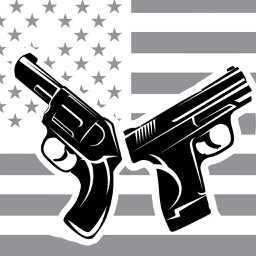 U.S. Federal firearms laws are fairly straightforward, but that’s not the case with state laws, which vary widely from state to state. 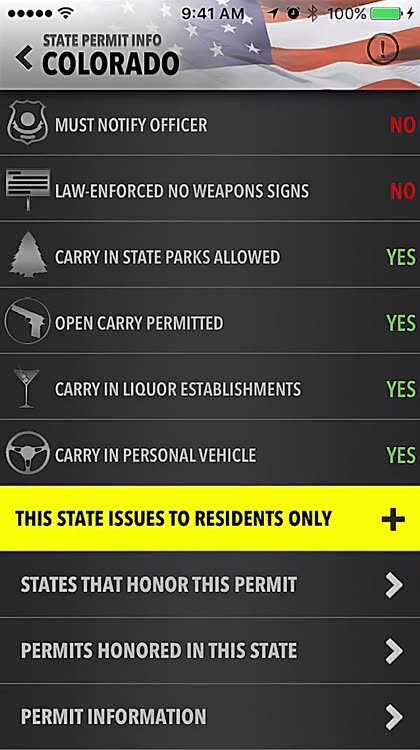 Who has the time to research the specific laws of each state? 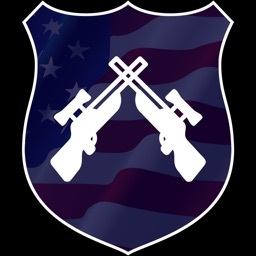 We do, and we take it very seriously. 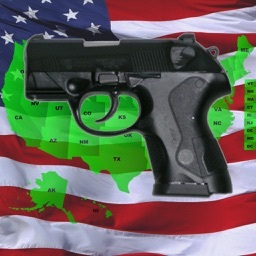 * View the states where your permits are honored and view the permits honored in any particular state. * Access information for both standard and enhanced permits. 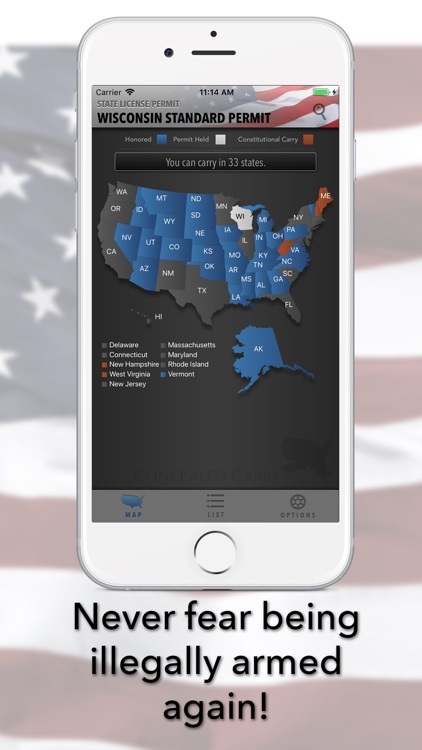 * Identify your home state to more accurately manage residency restrictions. 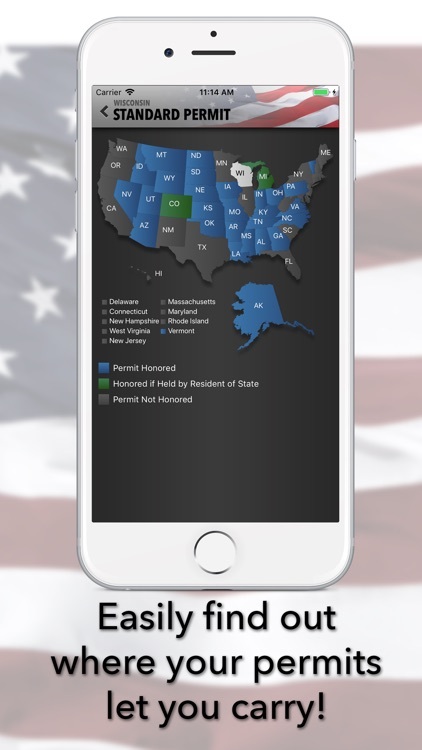 * Reference a state’s unique laws at a glance. 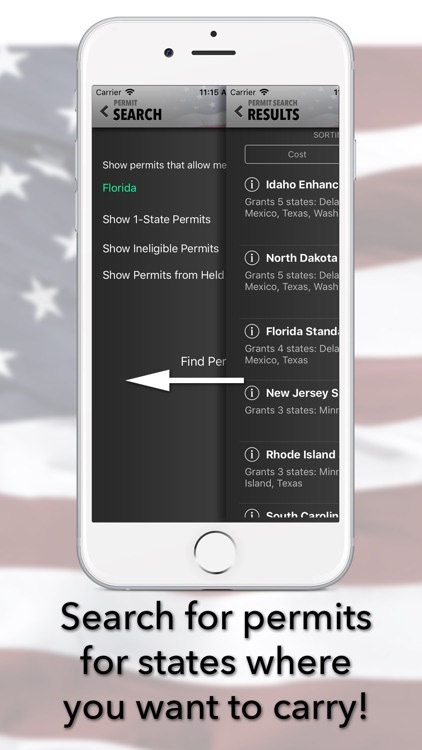 * Easily add and remove your permits to keep them up-to-date. * Include both front and back images of your permits. * Choose the high-contrast map option for easier viewing. 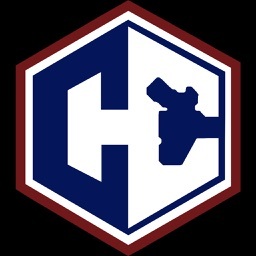 * Use our verified links to get additional information. * Synchronize all of your devices. 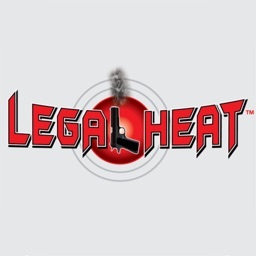 Now you can confidently travel state-to-state without the fear of breaking laws. 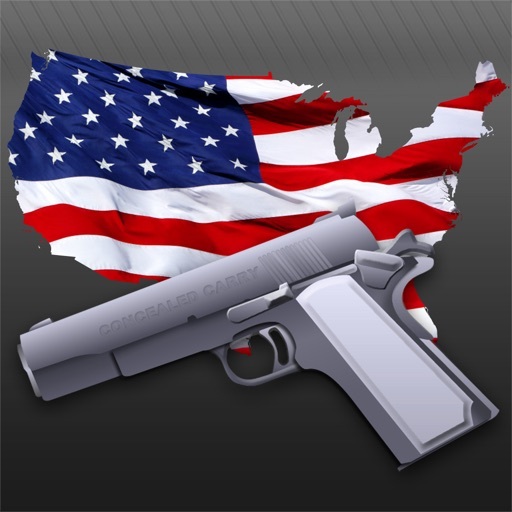 Download the Concealed Carry App today!